Having written an entire book about wind and solar power I consider myself an expert. My conclusion is that wind and solar are totally useless for generating utility scale power fed into the electric grid. They are totally useless because they have to be subsidized, approximately 70% for utility scale installations, and 90% for residential rooftop solar installations. In other words their economic value is approximately 10% to 30% of their cost. The subsidy needed to support wind or solar is paid by taxpayers and utility customers. The right thing to do is to plow under or dynamite the wind and solar installations. But, wind and solar are still being built, because it is in the financial interest of important people. The public and the media are fooled into thinking that wind and solar are useful, due to pervasive propaganda and faulty analysis. For those readers that still believe that a global warming catastrophe is looming, you should know that wind and solar are not a good methods for reducing carbon dioxide emissions. The cost of a carbon offset created by wind or solar is around $150. That same carbon offset can be purchased for $10 from various sources. A carbon offset is a reduction of one metric ton of CO2 emissions. There are explicit and hidden subsidies. Wind receives a 2.4 cent per kilowatt hour subsidy directly from the feds. Solar receives a 30% subsidy for the capital cost. Both are eligible for "tax equity financing." This is a scam whereby companies with large tax bills can reduce their tax bill by investing in wind or solar. This is possible because there is special depreciation treatment for wind and solar plants. Tax equity financing is a hidden way of looting the federal treasury to support wind and solar. Renewable portfolio laws, enacted by about 30 states, set quotas for renewable power, effectively wind or solar, to be incorporated in the electric system. The result is that utilities enter into long term sweetheart contracts for the purchase of wind or solar at uneconomic cost. Commonly, but mistakenly, wind or solar are compared to other sources of electricity by comparing the cost at the plant fence, ignoring the backup power plants that have to be provided for wind or solar due to the erratic and unpredictable production of wind or solar electricity. Even making comparison at the plant fence, natural gas power is cheaper than non-subsidized wind or solar. Wind and solar are supplemental power. The grid would function perfectly well if the wind and solar installations were dynamited. That's because the backup plants, usually natural gas, are 100% sufficient to handle the load in an economic manner. The economic contribution of wind or solar is to reduce fuel consumption in the backup plants when those backup plants are throttled back to accommodate wind or solar generation. Normally the operators of the electric grid are obligated, by law or contract, to take all the wind or solar power offered. The value of the fuel reduction in the backup plants is about two cents per kWh, for natural gas plants. But the cost of wind or solar (approximately equal for the two technologies) is about seven cents per kWh in the case of utility scale installations, and approximately 30 cents per kWh for small residential solar installations. The gap between 7 cents or 30 cents, and the two cent value of fuel saved, is the subsidy. There are more hidden costs of wind or solar, such as low duty cycle usage of power lines, lowered efficiency in the backup plants, and higher capital cost per kWh in the backup plants. Solar can be a solution for off-grid power. I have no problem with off-grid solar combined with batteries. Such off-gird power will probably cost 50 cents or more per kWh and suffer from spells of power failure when it is cloudy longer than the batteries can bridge the gap. A backup generator using propane is a common solution for bridging the gaps. People who have such installations generally use the power for electronics and lighting. Heat is provided by other means, especially wood or propane, and often the houses are well-insulated and take advantage of passive solar, so as to require little heat. Electricity-hungry air conditioning is out of the question. There may be special situations where wind or solar may make marginal sense in a small grid environment – for example, isolated islands generating power from oil. Oil is a very expensive fuel, especially in its more expensive forms such as refined diesel. But, using cheaper fuels such as coal, liquified natural gas or nuclear may be impracticable in a small market. In such an environment a wind turbine or solar installation might pay for itself. One thinks of pacific islands or Newfoundland. Of course the wind or solar still needs to be backed up by the oil-fueled generators. In certain places residential rooftop solar can be profitable for houses connected to the grid. It depends on the relationship between the power company and the homeowner and the rate structure for grid power. Just because the homeowner can profit from rooftop solar in no way changes the fact that it is typically 90% subsidized. For example, in California, in many places, there is a reverse quantity discount. If you have a larger house you may be in tier 5 where your marginal electricity costs more than 50 cents per kWh. In that case it makes sense to displace that electricity with 30 cent per kWh rooftop solar that actually costs even less due to subsidies. In some jurisdictions, excess solar electricity can be sold to the electric company at retail rates. Obviously the electric company would prefer to buy electricity wholesale. In any case the utility must provide full service without the payment that normally accompanies providing such service. The other consumers of electricity and taxpayers bear this cost and thus pay the 90% subsidy. The special interests that profit from the wind and solar scam are a long list. For example, non-profit environmental groups that advocate a know-nothing economic structure for the country. They want to abolish fossil fuel power and they hate nuclear, so they advocate wind and solar as credible alternatives. Utilities are happy to build useless plants because their allowed profit depends on the size of their capital investments, useless or useful, if approved by public utility commissions. 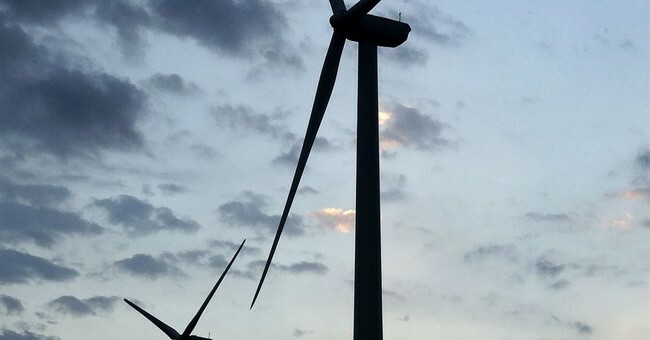 Attorneys and consultants have a big business advising on wind and solar deals. Politicians cater to the small part of the population that are subscribers to the green religion but constitute a balance of power voting group. Media have boundless ignorance concerning technical subjects and thus are easily fooled. Did I mention the people who actually sell these things? My analysis is not new or original. The federal Energy Information Administration makes the same analysis, but they downplay it so as not to get in trouble with the special interests. My numbers are not out of line with published information and estimates from various sources. Read my book, Dumb Energy, for more details. Norman Rogers, is a Cal-Berkeley trained physicist and author of Dumb Energy: A Critique of Wind and Solar Energy. He is a board member of the CO2 Coalition and a policy advisor for the Heartland Institute.